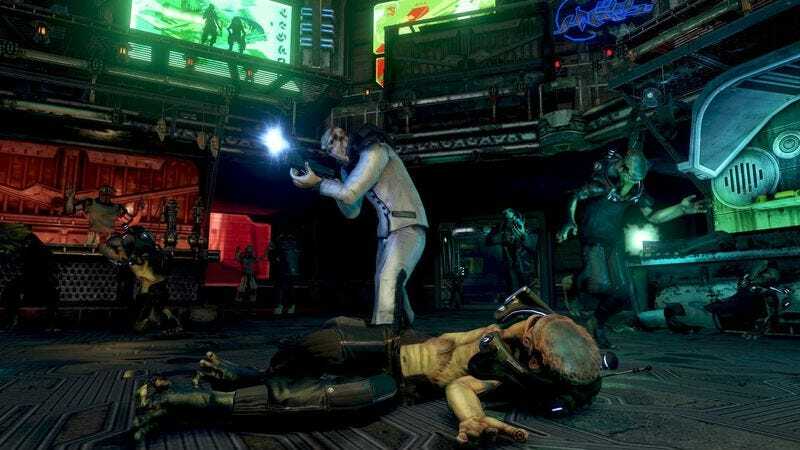 After carefully stalking it for years, Bethesda has finally pounced on Prey 2, instantly killing the never-released video game. Prey 2 was featured prominently in Bethesda’s presentations at the 2011 E3 trade show, and for a while it seemed like it would be a tentpole release for the publisher. But soon after that, Bethesda stopped talking about the project, a follow-up to the gravity-bending 2006 shooter Prey, saying only that the sequel had been delayed from its planned 2012 release date. As Eurogamer notes—and as Bethesda’s weird hot-then-cold treatment of the game would indicate—the official “didn’t meet our quality standards” line doesn’t tell the whole story. Last year on Twitter, Jason Blair, a former narrative designer on Prey 2, denounced Bethesda’s handling of the development process, claiming that “Prey 2 was a full game” (not just a flashy demo, as was rumored) and “What happened to Prey 2, from where I sat, was political. And petty. And potentially litigable. Human Head had a great game.” Alas, even if Human Head did have a great game, it doesn’t anymore, as Prey 2 succumbs to the law of the video game jungle: Kill or be strangled slowly for years until you’re finally killed once everybody has stopped paying attention.